Would our day’s cycle be completed without the quintessential dose of daily sleep? Imagine a day where you go through work, lunch, evening get together with business clients, late dinner with friends and family and again gearing up for morning breakfast and the same routine with no break or rest! Difficult… or rather scary to even picture that scene…right? Well sleep does to us what a beautiful pause does to a piece of melody or to a well composed song. Sleep offers our minds and bodies the three golden R’s- Rest, Recharge and Restoration. What does Sleep do to us? Sleep is like resting a big complex machine and restoring its energy so that it can be put to efficient use the next morning. When you sleep adequately, it not only fades away those dark circles under your eyes but also offers huge restoration within your body. You would be surprised to know that every system inside your body depends upon restful sleep to help it function effectively. When you sleep, your brain relaxes and prepares itself for the next day. A sound sleep also helps to restore the health of your heart and the various blood vessels. People who subject their bodies to inadequate sleep often suffer from irregular levels of hormones, which in turn can trigger many other health complications. When you sleep well, the hormones secreted from various glands of the body are well regulated giving you a healthy growth. Especially in children, sound and deep sleep is the biggest contributor in cell and tissue repair and in escalating the growth process. A good restful sleep also builds your immunity system and helps your body to fight external enemies and harmful substances. With so many benefits and contributions enlisted above, now imagine what sleep deprivation can do your body. Often, we come across people who boast that they put in less hours of sleep considering it as leisure and utilize it instead – in doing some productive work. No matter how impressive they may sound, the truth is it is not wise to cut down on your hours of sleep just to work harder and may be earn a few more thousand bucks. They may not even realize the damage that they are doing to their bodies, but the bitter truth is that they are depreciating their bodies at a faster rate than it would do naturally. It has been clinically proven that sleep deprivation can send your emotional balance for a toss. Insomnia or any other sleeping disorder either inherent or those picked up by way of a faulty lifestyle can aggravate emotional disturbances in your mind and body. Feeling blue, lost, worthless and hopeless or suffering from bouts of mood swings can all be because of insufficient sleep. 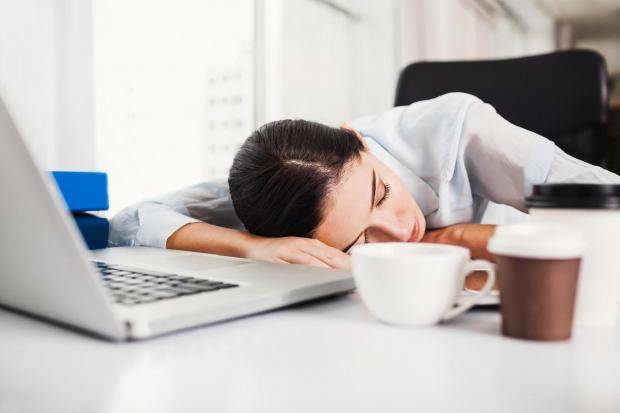 Deprive your body of adequate sleep for a couple of days and see how your anxiety levels are triggered even at the sound of a phone ring, a door bell or even a project submission at the workplace on which you have worked sufficiently and should be confident of. Thus depression and anxiety gradually step into your world as soon as you start depriving yourself of the well deserved hours of restful sleep, but unfortunately you hold your family or subordinate in office responsible for that whacky mood swing. How to Catch Up on Healthy Sleep? Thoroughly briefed with all the ill effects that sleep deficiency can cause, you are surely more curious to know what you can do to catch up on some healthy and sound sleep. Well, ask someone who sleeps like a log and he will tell you that it comes naturally. But it is not so for all. Sometimes you have to make extra efforts and invest in order to enjoy adequate and healthy sleep. Here are some insights and tips which shall surely see you rolling in your cozy bed today only to wake you up with your sun kissed beaming face. De-clutter your head before you go to bed. Forget the tiff you had with your boss, forget the impact of the extra slide you added to your presentation and forget about the comment your work station neighbor gave you about the shades of your shoes. Your mind cannot go to rest with all that baggage. So, ctrl+alt+delete the day’s events before you hit the pillow. Avoid alcohol, sugary drinks, soda beverages, caffeine or any other food item that cause poor sleep. Ensure that your sleep accessories are comfortable and suit your sleep position and habits. For a better understanding about how your mattress can affect the quality of your sleep check out this in-depth guide explaining how mattress affects our body. The room where you sleep should be dark and noiseless. Do not sleep with the television on or your headphones on your ears. Keep the temperature of your room cool and pleasant. Too hot or too cold temperatures act as sleep hindrances. Have a warm shower before sleep. It relaxes the body nerves indicating to your brain that it is time to collect some sleep. If you have trouble going to sleep, get off from the bed and do some light activity like rearranging books on the shelf, refilling fridge bottles or simply stroll round the house to check that the doors are securely locked. Do not toss and turn in bed in an attempt to fall asleep. At bedtime, avoid looking at television or the bright screen of your smart phone. Instead go for some light reading that acts as a lullaby and gradually draws your eyelids closer. Also read: Technology in the Workplace: How Can It Benefit You? And, lastly remember that completing a good night of seven to eight hours of restful sleep is like completing a marathon. No matter how important issues may be awaiting you with the morning tabloid you can encounter them only when you complete your sleep marathon. So, forget recharging the cells of the alarm clock, because now you have learnt to recharge your body cells with the right sleeping rules. I am the Editor in Chief at Sleep Heavn, which is aimed at helping the world sleep better. I’d had mild insomnia since I was 17 years old. Being not able to sleep at night, I was not able to focus on my studies and also my overall health got affected. That was the time, I began my journey of finding the perfect sleep. I started researching everywhere, on the internet, books, studies, etc. And started applying those tips and saw really good results.